McDonald’s has just broke the fast-food game wide open after announcing it will selling a mega 48-piece McNugget bucket in Japan. The insanely filling promo offer rolls out in partnership with Japanese pop group NGT48. 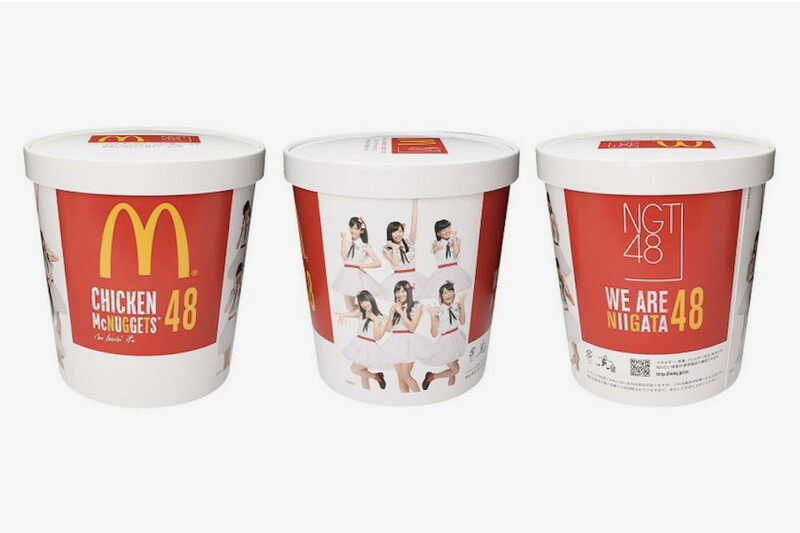 Each bucketfeatures members from the main and affiliate group AKB48 (god, this is sounding a lot like K-Pop) with select group members heading out to a few Golden Arches venues to hand out buckets to diehard fans. Let’s hope they don’t be such tight asses on the dipping sauce though, because 48 nuggs will need a hefty amount of sweet mustard!